Synaptic is committed to our community. We believe that families who sacrifice to protect our freedoms should be given every opportunity to support themselves and their families with meaningful work. Therefore, we invite our service heroes to complete ONE of our online training courses at no cost beginning Monday, November 11, 2018 (as of 02/01/19, Retail Sales Skills and Media Training for Small Business are the qualifying online-only courses that are available) and March 31, 2019. Other training initiatives (including Operational Excellence) or consulting offers (including marketing consultation) are not online training modules (rather, based on face-to-face consulting between Synaptic and the business client) or for teams or are a blend of online and onsite training. These training initiatives do not qualify for this offer. Online courses will be listed at our website as they become available. 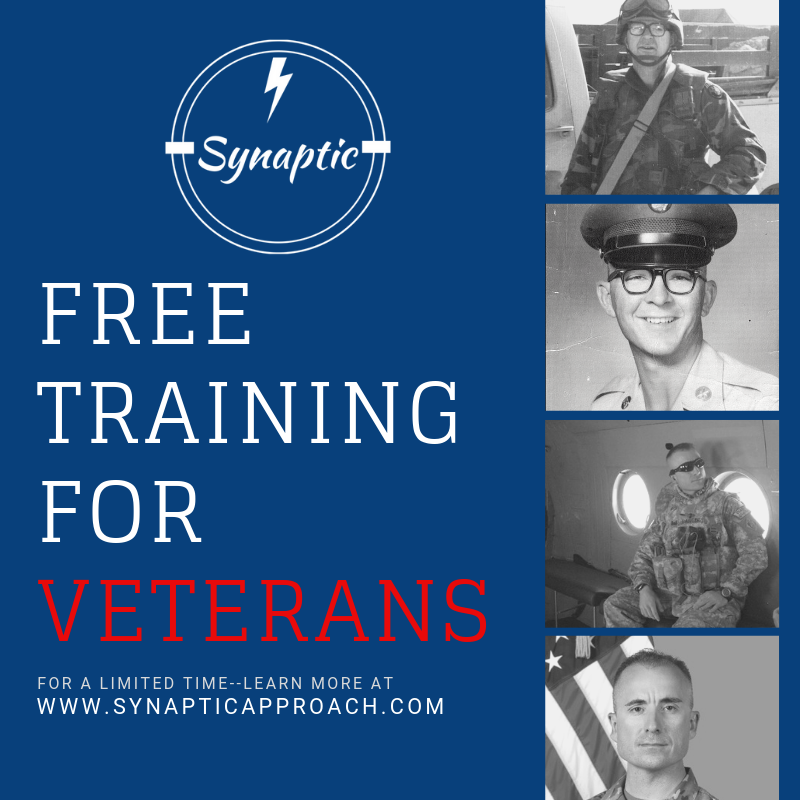 Proof of service is required, set up a call to obtain your coupon code for FREE training. See our Terms and Conditions for more information. Schedule a call today to get started!